Do you sometimes experience anxiety, stress, or low-mood, which affects your happiness, wellbeing and relationships at home or at work? Or maybe you’d like to improve your emotional intelligence, resilience and performance? Regular mindfulness practice can make a real difference. Then pay less than £2 a week to receive weekly session updates and get full access to all sessions. 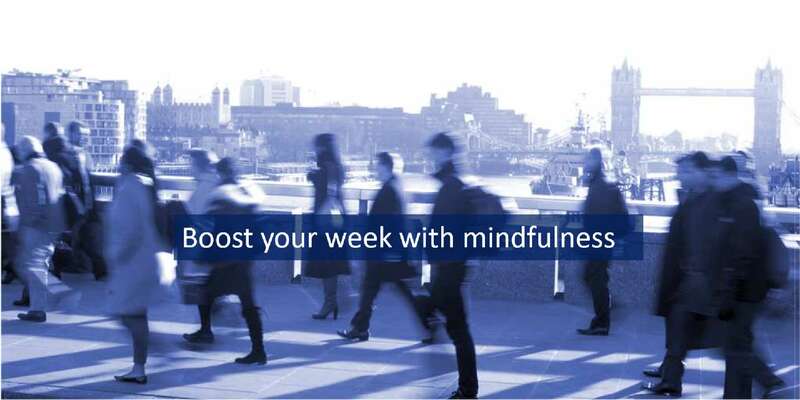 Each weekly session is based around a mindfulness theme – designed to offer something for beginners as well as the more experienced. The content’s available on the web, tablet or smartphone – so you can play or download the guided meditations on range of devices. Session updates - 7.95 GBP per 1 month - Ongoing. Please read these Terms and conditions for subscribing to and using mindfulcall.co.uk, which is owned and operated by Mindful Call Ltd. This Agreement documents the legally binding terms and conditions attached to the use of the site. By using or accessing the site in any way, viewing or browsing the site, or adding your own content to the site, you are agreeing to be bound by these Terms and conditions. Mindful Call is an online subscription service that provides theme-based sessions, content and audio to develop and deepen mindfulness practice. It is suitable for people wishing to enhance their general mental, emotional and physical well-being. The Mindful Call service is not being offered as a treatment for any specific physical or psychological conditions. It is not suitable for people who are currently experiencing very severe problems in these areas. You undertake to be responsible for your own well-being when using the Mindful Call service. Weekly sessions are delivered for 48 weeks each year. In practice, more than 50 sessions are delivered each year. Subscribers will be informed when a session is not scheduled at least a week before. Mindful Call Ltd shall not be liable for any direct, indirect, special or consequential damages whether in contract, tort or otherwise, arising out of the use of this website or the reliance on information in it. The content of this paragraph and its disclaimers and exclusions shall apply to the maximum extent permissible by applicable laws. Any rights not expressly granted herein are reserved. Mindful Call Ltd has used reasonable care to ensure that the information appearing on this website is accurate and up-to-date. While Mindful Call Ltd takes precautions to prevent the occurrence of errors and omissions the user of this website should not take the accuracy of the information for granted. None of the material contained in this website is to be relied upon as a statement or representation of fact. Mindful Call Ltd has no control over the use to which the information may be put and shall not be liable for any loss or damage either direct indirect or consequential arising out of or in connection with the use of such information. Mindful Call Ltd makes no warranty that the contents of this website is free from computer viruses or anything else which has contaminating or destructive properties and shall have no liability in respect thereof. Your statutory rights remain unaffected. Payment is based on a monthly recurring membership subscription using the PayPal payment gateway. If a payment is not received we will send you an email asking if you still want to continue with your subscription and outline the cancellation process. The Site and all of its original content are the sole property of Mindful Call Ltd and are, as such, fully protected by the appropriate international copyright and other intellectual property rights laws. Mindful Call Ltd reserves the right to terminate your access to the site, without any advance notice. Governing Law. This Agreement is governed in accordance with the laws of United Kingdom. Mindful Call reserves the right to modify these Terms and conditions at any time. We do so by posting and drawing attention to the updated terms on the site. Your decision to continue to visit and make use of the Site after such changes have been made constitutes your formal acceptance of the new Terms and conditions. This Agreement was last modified on April 12th 2018. This website is owned and operated by Mindful Call Ltd. If you have any questions about this Agreement, please feel free to contact us by using our contact form, or by email to info@mindfulcall.co.uk. Click Join and then select the secure PayPal payment gateway to subscribe and experience the difference these weekly sessions can make.